After I finished reading Shiver last year I was forever hooked on Maggie Stiefvater’s writing and just could not get enough. A book buddy of mine suggested reading Lament and Ballad to fill the gap between Shiver and Linger, which resulted in two more five star ratings. really, Maggie is just a genius. I watched in pain as other bloggers around me got advanced reader copies of Linger and started reading, then by a twist of fate I got a hold of the Twilight MOMS ARC tour copy. Once I had it in my hot little hands it all came back to me just WHY I love Maggie so much. her stories have a way of finding their way deep under your skin. You feel you know the characters and have entered the woods to be a part of the story. They are each in the process of finding out who they are and what they will fight for. All I have to say about Linger is Hell-o Cole! When we meet him along with Isabel there will be spark aflying! I genuinely enjoyed their relationship in this book and the way they both have strong personalities that work. 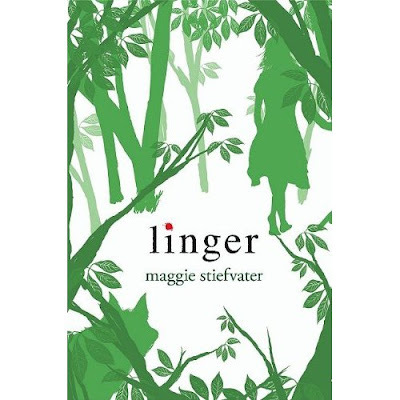 I still cheer for Sam and Grace like I did in Shiver but Linger is multi-layered. There is so much more going on in the sequel. I can guarantee you will enjoy the journey to the very last page. 5 stars and thanks to Maggie for writing truly intelligent and enjoyable young adult fiction.